Packing a nutritious snack ahead of time can help you avoid resorting to fast food when you’re on the go. Here are a few snack ideas that taste great and will give you the energy you need to make the most of your day. Enjoy these snacks together or separately. 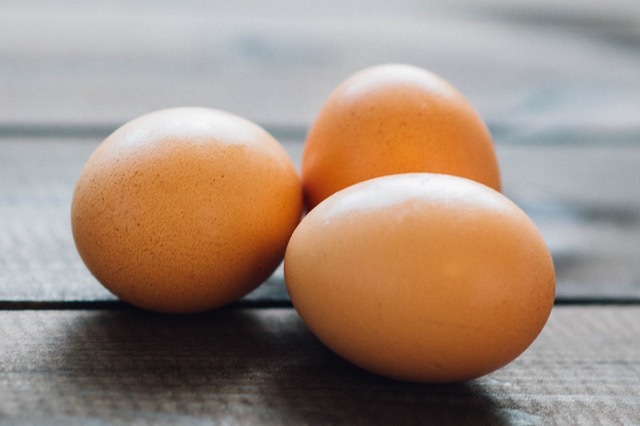 Hard-boiled eggs are portable powerhouses packed with essential vitamins and minerals, protein, and all nine essential amino acids— for just 70 calories! 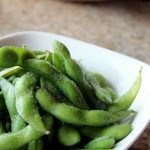 Edamame, or immature soybeans still in the pod, are common in Asian cuisine. 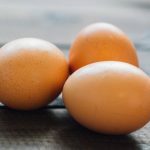 They’re a good source of protein, fiber, and folate, which helps our bodies make DNA. Low-moisture, part skim string cheese can provide calcium and protein while cucumber slices are a low-calorie, low-fat snack. Keep the peel on the cucumber for extra nutrients! Trail mixes are great because you can pack as many healthy choices in them as you want! Many trail mixes include nuts which provide protein and raisins which add a natural sweetness. Since trail mixes typically don’t require refrigeration, they’re great to throw in your bag or store in your car for when you need an emergency snack. Have your kids help you customize your own mix at home for a fun and more budget-friendly option than the pre-packaged store options. Check out these recipes for inspiration: the Sweet and Salty mix, Friends trail mix, or the California Fig mix. Low-fat cottage cheese is full of calcium and vitamin D. Grapes are a low-calorie, crunchy treat that perfectly balances the softness of the cottage cheese! 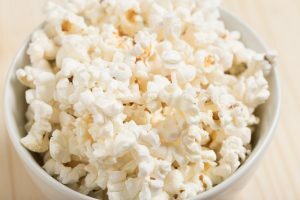 Popcorn from the store can be full of butter and salt. If you pop the kernels at home you can control what ingredients are used– and how much. Take a few test kernels and add them to a pot on the stove that has a little bit of olive oil at the bottom. Cover. When the oil is hot enough, the test kernels will pop and you’ll know it’s time to add the rest of the kernels. When they’re done, add a light amount of salt and dark chocolate shavings for a low-calorie, salty-sweet snack. In addition to being delicious, dark chocolate serves as an antioxidant and can help lower blood pressure. Remember to choose dark chocolate that’s at least 60% cocoa and limit yourself to 1 oz or less a day. Didn’t bring anything from home and at a store? Swap traditional chips, which are typically fried in oil, for air-popped chips to lower the fat. A naturally-flavored sparkling water provides the same fun carbonation of sodas but none of the calories.